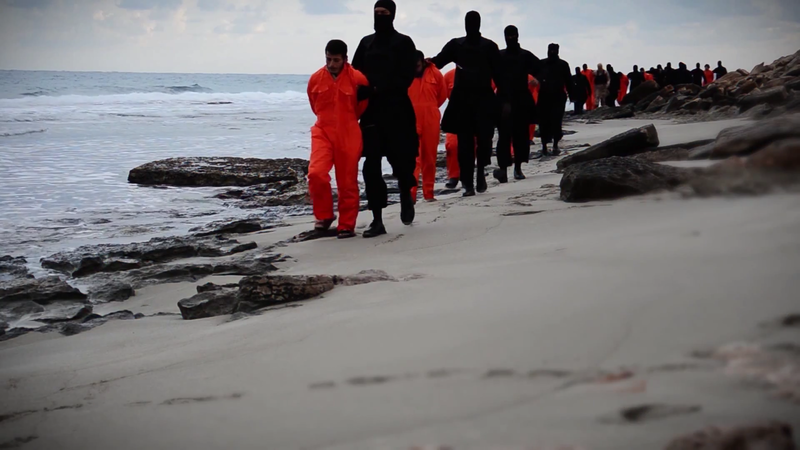 I just watched the latest Islamic State video where they simultaneously beheaded 21 Egyptian Christians on the Libyan coast, and while horrifying to watch, I am struck by the way these made-for-social media productions eerily resemble something which director Michael Mann would construct: beautiful, vacation-like scenery wihich is paired with bloody violence. 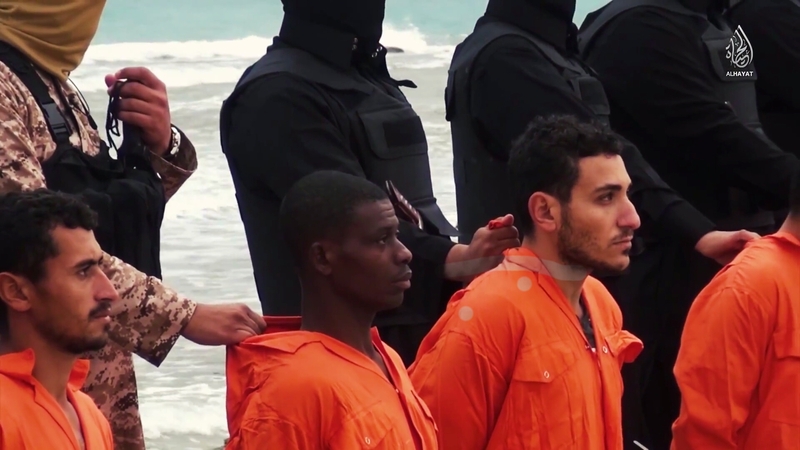 As typical with ISIL production values, the current video is accented with shiny-new black uniforms, sylish knives and wide-screen high-definition. I posted a few video stills but be warned that a few of the images are quite graphic. The part not mentioned by the mainstream media is that Islamic state is not only free to operate within Libya, thanks to Washington’s NATO’s foolish Bomb to Protect citizens tactic that took out Gaddafi and turned his country into a bloody failed state, but ISIL has also increased its caliphate footprint by continuing to take Libyan land. Here’s another moment for me to be annoyingly repetitive: The US—either through design or incompetence—helped to create this growing mess. And as President Obama presents to Congress his use-of-force proposal against ISIL, I fail to see the magic sauce in Obama’s plan that would make an ISIL adventure any different from America’s failures in Afghanistan, Iraq, Syria, or even Libya. Team Obama could do this, but I highly doubt it will happen. Wasn’t the US supposed to be in the region to fight evil over a decade ago, as opposed to spawning it…? This entry was posted in War and tagged Barack Obama, Egypt, isil, islamic state, italy, Libya, Terrorism, United Nations, war on terror. Bookmark the permalink.